Are you searching for the best company to provide you with the best post construction cleaning services in Windsor / Essex County? If so, look no further than the experienced Green-Tech Building Maintenance team. 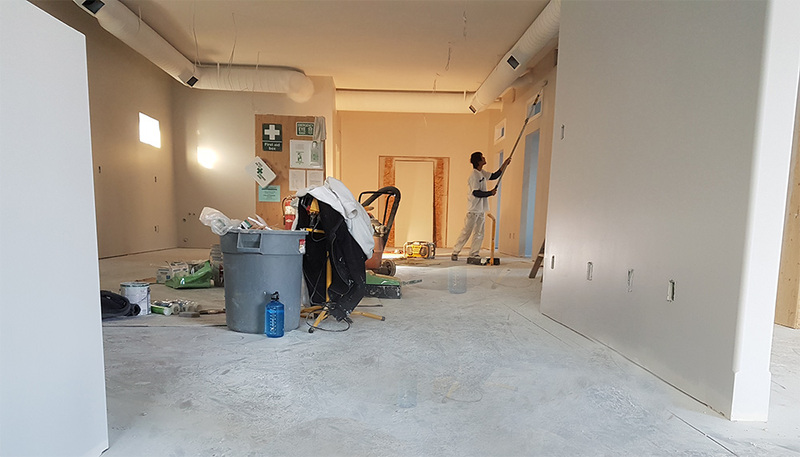 As a fully registered, licensed, and bonded company with 13 years of experience in the industry, our cleaning specialists have what it takes to remove the dirt, dust, and debris that can result from any construction job or improvements. We understand that with the tasks of everyday life, it can be stressful to have to worry about the cleanup that follows a construction job. When someone hires our company, because our top priority is the cleaning, the customer can continue on with their everyday responsibilities. Over the years, we have become recognized for the quality services and workmanship we provide. And, we continue to deliver some of the most satisfactory results in the Windsor / Essex County area. Construction work creates a buildup of dust everywhere, which leads to a terrible mess, unfavourable odors, and uncomfortable living quarters. Post construction cleaning is a large task that calls for dedicated workers. Our teams are incredibly thorough with the jobs we perform. We only use the finest eco-friendly products and tools available. Regardless of the size of the post construction cleaning, you can be confident that we have the tools, skills, and resources necessary to leave you feeling comfortable and content with the end result.